Based in Kuala Lumpur in Malaysia, the reputation of Medusa E Liquid has made its way around the world of vape. 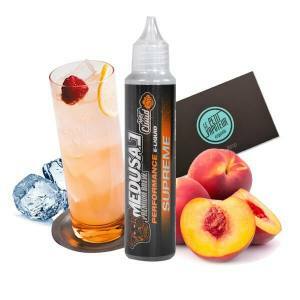 The Medusa E Liquids are typical Malaysian E Liquids: fruity and refreshing, which will delight vapers. A real heartful crush in 2016, the Medusa E Liquids for the Electronic Cigarette, has made its return in 2017 with a new range of surprising flavours which are always fruity. The Medusa E Liquids proposes a 50ml Unicorn Bottle and 0mg in Nicotine Booster, which can hold 60ml in E liquid. The Medusa E Liquids are prepared with 40% / 60% in PG/VG for boosters and flavours, to supply a good dose a vapor. Medusa is a range of Malaysian E liquids. The quality of their products no longer needs to be demonstrated, the Medusa Juices are considered as top of the range and premium products. The Medusa E Liquids are distingushed for there fresh, fruity and exotic flavours, in the line of Malaysian E Liquids. This is particularly the case of Medusa E Liquids Super Skunk, a refreshing mixture of Strawberry and Watermelon. 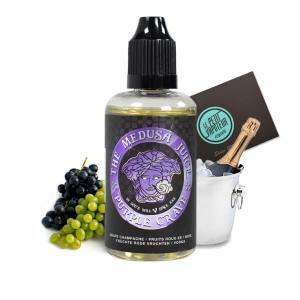 You will equally break for the Endless Medusa E Liquid, ideal for amateurs of Grapes, or the Pink Diamond Medusa E Liquids or a Apple and Grenade Sirop. Discover quickly the Medusa E Liquids on our website and order now the Bottles of E Liquid so it can be delivered within 48H.